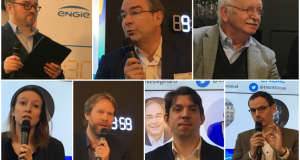 Unveiled on January 23rd2019 at the 20th edition of the European Energy Transition Conference in Dunkirk, the winner of the latest call for projects launched by ENGIE Green is C3 Consensus Europe. The call for projects focused on solutions to facilitate citizen consultation during the implementation of renewable energy projects. We spoke about the initiative with Thomas Petit (Renewable Marine Energy Project Manager) from ENGIE Green, the sponsor of the call for projects, as well as Raphaël Genin (Innovation Manager at the France Renewable BU) and Thierry Conraud, founder of C3 Consensus Europe. Thomas, why launch this call for projects? For a number of years now there has been a growing desire among citizens and associations to be more involved in planning projects and to have access to the most transparent information possible. As you often hear about in the news, these are recurring topics and we were interested by the idea of collecting solutions that could help us. We wanted to go further than the methods and tools we currently use. The call for projects format is more open than a traditional call for tenders and makes it possible to reach service providers whose existence we do not know about. It is also a way of infusing innovation into a project in a way that meets the region's expectations. The Dunkerque offshore wind project, for which ENGIE Green is bidding through the Dunkerque Wind Turbines at Sea consortium, seemed to be a perfect opportunity to launch this initiative. More broadly, the solution can be tested for all projects led by ENGIE Green. For us, the idea is not simply to meet regulatory requirements for consultation or for the project to have the least impact possible. It’s about going further and opening up the debate about value creation opportunities for projects such as the wind farm. It lets us see how developing the park can create alternative values from a local land use perspective and turn the project into an opportunity. Our job is to install wind and farms, but we want to do so by listening to how local areas want to experience the project and how we can evolve to meet their needs. Since its launch in September 2018, the call for projects attracted a lot of interest: more than 40 responses! Yes, the number and high quality of the responses was a pleasant surprise, making it less than easy to decide on the top ten. The responses included many platforms that were more or less complete, but also responses to more specific needs, such as voting systems or information-gathering tools. We also had responses that suggested using virtual/augmented reality to allow residents to better project themselves onto land use issues in their local area. This call for projects really raised a lot of interest among Civic Tech, an emerging universe of companies that responds to the desire of local authorities to appeal to solutions brought forward by citizens. 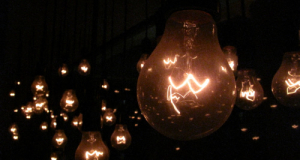 Many responses have adapted to the world of energy and renewable energies. We invited people from outside ENGIE to include different points of view, to increase the number of people involved and to open up the debate. We had representatives from the urban community of Dunkerque, a local association promoting renewable energies, and a consulting firm. Thierry, how did you become aware of this call for projects, and what prompted you to submit a response? A whole bunch of people called me to alert me to the call for projects, including former clients and partners. We have been working on digital platforms for collective intelligence for a long time. I decided to respond – even challenge the premise of the request – by highlighting our fifteen years of experience supporting industrial projects in local areas (including wind and renewable energy in general) on their societal components. The word consensus has been emptied of its meaning. It is rarely used, and words like "social acceptability" are used instead. For us, consensus means working together to create projects that make sense to create benefits for the area and all its stakeholders. My company is called C3 Consensus, consensus is my job, and I feel that the purpose of this call for projects was to build a partnership relationship with ENGIE GREEN using a new approach based on dialogue. Our ambition was to share benefits with the community, benefits that go far beyond green energy production. Can you summarize what C3 Consensus Europe does in a few words? C3 Consensus Europe is a "pure player" company in stakeholder dialogue for collective intelligence. I created it in 2005 in America, and today we have about fifty employees throughout America, France and Africa. Our job is to support any organization that wants to change or carry out a project using the intelligence of all their stakeholders, whether internal and/or external. We believe that well-conducted stakeholder dialogue is a powerful project and business management tool that allows companies to innovate, gain resilience, anticipate and manage risks better, and communicate better. We believe that this dialogue can strongly contribute to what is called their "overall performance"
C3 supports its clients from all sectors in their need to mobilize, engage and have dialogue with all their stakeholders, to co-build solutions with high membership and value creation: ecosystem analysis, mapping of stakeholders and issues, innovation, co-building action plans, deploying and measure performance. Our fields of expertise mainly involve corporate social responsibility, social acceptability and the local integration of sensitive projects. Thomas, Raphael, what attracted you to the C3 Consensus project? What allowed C3 to break away from the rest of the pack (in addition to a very good database of tools for collection and debate) was their weak signal detection module. That was a very important point for dialogue purposes and collecting information about populations. By definition, we do not need a very complicated tool to hear the voices of the discontented or the enthusiasts, they are naturally heard. On the other hand, being able to detect weak signals upstream that are potentially signs of problems that will be encountered tomorrow – or, on the contrary, to discover opportunities or innovations – is a real plus, a real differentiator for C3 Consensus Europe. We also appreciated the innovative nature of the tool as well as C3's desire to do research and continuous improvement Another positive point: their acculturation in the world of energy and their commitment to highlighting all the opportunities of an industrial project for and with the local authority. Finally, we appreciated their willingness to think about how we could build a lasting partnership beyond the Dunkerque operation, as well as the coherence of their proposal and the dynamism and enthusiasm of their presentation. And what now? What are the next steps? For now we are preparing the tender response for the Dunkerque offshore wind farm. If we win, we will have our first testing ground with the Dunkerque Wind Turbines at Sea project. Beyond that, we want to look at what opportunities there are in terms of partnership with C3 on other renewable energy projects, in particular on anaerobic digestion and onshore wind.